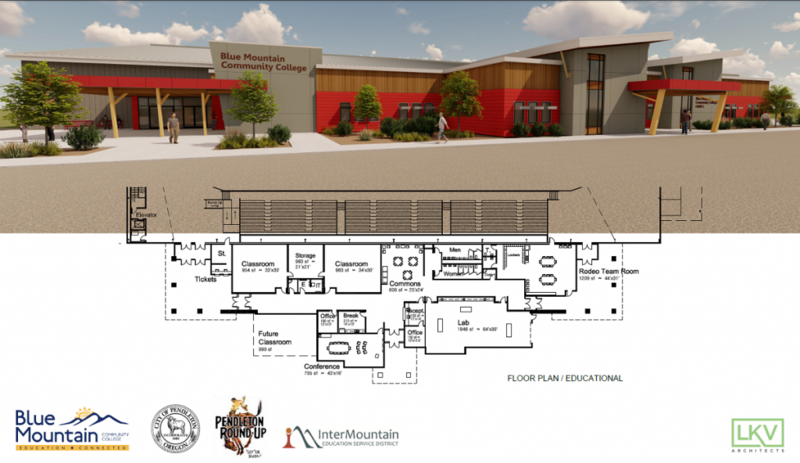 PENDLETON, Oregon – Intermountain Education Service District Superintendent Mark Mulvihill says partnering with Blue Mountain Community College to build FARM II, the Blue Mountain Regional Training Center, is a natural fit. He says the ag-related training center would be a valuable asset to all regional high schools, not just Pendleton, once the organizational structure is complete. In addition to being popular, Mulvihill says the center will be responding to fill high-wage, high-demand job vacancies. IMESD’s role in the center is still in the planning stages. The project is proposed for the city-owned and Round-Up-owned land west of the Pendleton Convention Center. In addition to classrooms, it would contain an indoor arena to serve as a permanent home for BMCC’s award-winning rodeo team, as well as to host other events. The city of Pendleton, Umatilla County, and the Port of Umatilla are supporting the project. The city has said it’s willing to sign over its land, and some funding has already been set aside by the Oregon Legislature.